“It quickly became the language most spoken in my household,” Roberts said of the video game. 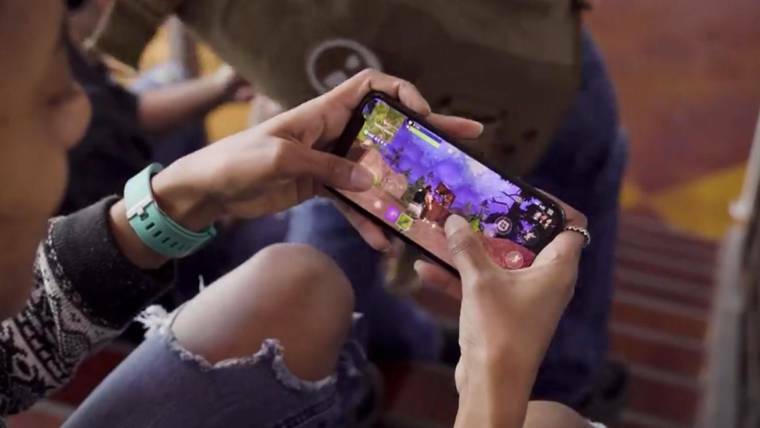 Roberts sees an upside in having her son play the game, noting that it helps him stay connected with friends and schoolmates. So she did what many parents do to encourage their kids — she hired a tutor. About once a week Jackson and a “Fortnite” tutor play together for an hour and a half, working on strategy and the subtleties of the game. They use the free-roaming, private Playground mode to “assess what Jackson has learned week over week” before moving on to the more competitive duo matches, Roberts said. “They are playing online together and are video-chatting at the same time,” Roberts said. “That way, I am always aware of the conversation.” Those strategy sessions involve how to outsmart opponents by watching them, sizing up their strengths and weaknesses, and choosing the right weapons for the match. Roberts said in addition to helping Jackson, the tutoring also keeps her in the loop, even if she’s not playing “Fortnite” herself. Like few games before it, “Fortnite” has generated a massive secondary industry. On Twitch, a streaming video platform dedicated to gaming, people have watched more than 390 million hours of “Fortnite” play in the past three months. YouTube has a nearly endless library of videos dedicated to “Fortnite”, including tips, tricks and bloopers. The game has so enraptured some kids that parents have expressed worries about adjusting them to the school year, while some teachers have resorted to using it in lesson plans. The soaring popularity of the game caught the eye of Chuck Cohn, founder of Varsity Tutors, which offers online instruction on a variety of academic and non-academic subjects. The idea paid off. Cohn said Varsity Tutors now receives between 500 and 1,000 inquiries about “Fortnite” every day. “The interest was so high at one point that we had to remove the phone number from our ‘Fortnite’ page,” he said. Cohn’s “Fortnite” tutors aren’t just people who happen to be good at “Fortnite.” Instead, he said he sourced teachers for this unconventional topic from his existing tutor base, which makes it easier to find tutors who are “vetted, excellent communicators, and successful with students,” as well as being “Fortnite” experts. Varsity charges an hourly fee for tutoring that is comparable to the company’s other topics, around $50 an hour, depending on the student. And, just like with traditional academic subjects, there are those with bigger ambitions — becoming a popular streamer for an extra source of income or landing an esports college scholarship, for example. Roberts said she’s pleased with Varsity’s pros.